Some claim Hanukkah is not found in the Bible. But it is! John10:22 Now it was the Feast of Dedication in Jerusalem, and it was winter. While Hanukkah is not one of YHVH’s Appointed Times that we are commanded to observe forever, it is mentioned, albeit briefly, in Scripture. 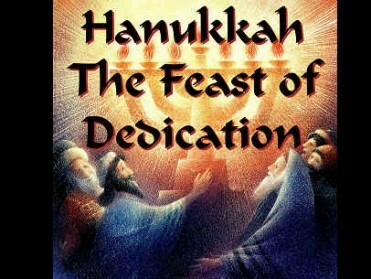 Yeshua knew it as the Feast of Dedication. That’s what Hanukkah means, dedication. It commemorates the rededication of the Temple. And I am quite certain that if Yeshua felt that observing it was a sin, as some returning to their Hebrew Roots claim, Yeshua would have said so. It all started with Alexander the Great. He conquered Syria, Egypt and Palestine. But under his relatively benevolent rule, the Jews who had returned from their captivity in Babylon were still allowed to practice their religion and retain some autonomy. Many Jews assimilated, adopting the Greek language and Hellenistic culture. But others did not. Well, old Mattitias Maccabee–the Hammer–got mad as Heaven, and wasn’t going to take it anymore. So he and his five sons raised a small army to fight the Syrians. When Mattitias died, his son Judah, a type and shadow of Yeshua, the Lion of the Tribe of Judah, took over leadership. Three years later, a few thousand Jewish resistance guerrillas defeated 20,000 Syrians in the hills of Jerusalem. This amazing victory is recounted in the Book of the Maccabees, volumes I & II. Unfortunately, the vacated Temple had been desecrated! Antiochus, in a final act of defiance, sacrificed a pig and smeared its blood on the altar. Ever heard the expression Christmas in July? Well, Hanukkah is Sukkot in Kislev. A letter from the Hasmoneans to the leaders of the Egyptian Jewry, circa 125 BCE, in the Second Book of the Maccabees, calls the Feast of Dedication the festival of Sukkot in Kislev, the month of December. The Jewish guerrillas were still fighting in caves on Tishrei 164 BCE and could not keep the eight-day Feast. So they postponed it. 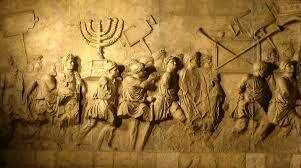 Then, when they recaptured Jerusalem and had purified the Temple, they celebrated its rededication on the 25th day of the month of Kislev. It was their Sukkot. For eight days, they celebrated, offering hymns of praise and waving palm branches. They recounted how during Sukkot, just a few months before, they’d been hiding out in caves. Fighting! And now, YHVH had given them victory. His temple was purified. (II Maccabees 10:6-7). But there is still another connection between Sukkot and Hanukkah. Sukkot commemorates not only the wandering of the Jews in the desert, dwelling in huts, but also Solomon’s dedication of the First Temple. For King Solomon gathered all of Israel together in the seventh month of Eitanim (Tishrei) on Sukkot to dedicate the first temple. (I Kings 8:2, 12) This, as well as the miracle of one day’s supply of oil lasting eight days, accounts for Hanukkah’s length. Known also as the Feast of Lights, Hanukkah’s candle lighting is reminiscent of a ceremony from Sukkot: Simchat Beit HaShoava. The water drawing ceremony, with its all-night dancing in the Temple that called for immense lamps to light the temple’s courtyard. Still, another source in my research attributes the story of the miracle-oil to a legend originating with the Pharisees. The detractors claim the Pharisees resented the Maccabees because Mattathias’ son Simon, after becoming High Priest, gave himself the title of nasi: a prince. The Pharisees saw this as an outrage because a King had to come from the lineage of David. So seeking to diminish the Maccabees role in the story of Hanukkah, they invented the miracle of the oil. Decide this one for yourself, because I really don’t know which account is true. But I know this. YHVH is certainly able! If He wanted He could make a one-day cruse of oil last for eternity. 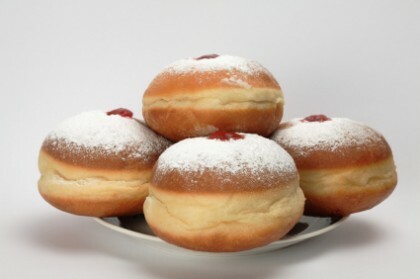 MESSIANIC SIGNIFICANCE: Hanukkah like Purim, another Jewish holiday that the TORAH does not command to be observed, bears Messianic significance. Esther and Mordecai thwarted Haman’s plans to eradicate the Jews, preserving the lineage through which Messiah would come. Likewise, had the Maccabees not defeated the Greeks, the Gospel story could not have unfolded as it did. Both victories were a timely part of God’s plan. 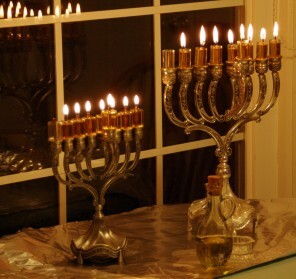 The Hanukkiah, a nine-branch Menorah, is to be lit nightly. The shamesh is the servant light, the longest one in the middle of four smaller on each side. We, as Messianics, recognize the servant candle as representing Yeshua. 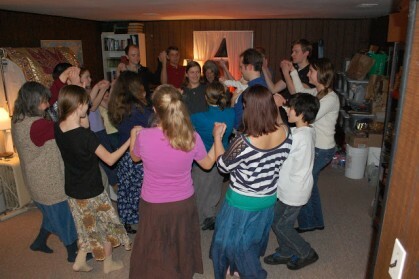 After lighting the servant candle, a candle is added each night for a total of eight nights, starting on the far right. Then each succeeding evening, an additional candle is placed to the left of the previous night’s candle. On Friday, the Hanukkah lights should be kindled before the Shabbat candles. 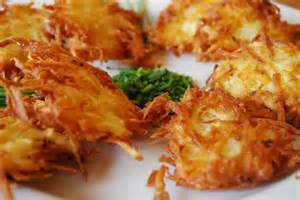 And on Saturday, one should wait until Shabbat ends to light the Hanukkiah. Tradition says the hanukkiah should be placed in a window to publicly proclaim the miracle of the lights. Two Brachot (blessings) are traditionally said before lighting the candles. Then, on the last night of Hanukkah, a third blessing is added. After kindling the first candle, and while the others are being lit on following nights, a prayer is recited, declaring the miracles YHVH performed “in those days at this season” through the brave priestly family of the Maccabees. It concludes the lights are holy and are not to be used as a light source; only to be seen as an expression of gratitude and praise to YHVH. Jews, of course, say HaShem, which means THE NAME, since they still, since the days of Antiochus, wrongly abstain from uttering God’s name. During the eight days of Hanukkah the entire Hallel (David’s Psalms of praise) are recited daily during the Shacharit (morning) prayers. And to honor women, whom the Syrian-Greeks systematically abused, women are to do no work during the first hour of the candle lighting. The tradition also honors Judith, who decapitated the Syrian-Greek general, Halifornus, then hung his head out the window, demoralizing the Syrian-Greek army and hastening the Jewish victory. 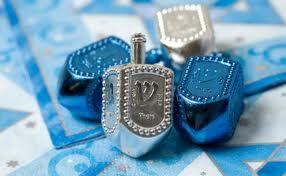 THE DREIDEL is also associated with Hanukkah. Since Torah study was a crime punishable by death during the terror filled reign of Antiochus, Jews pretended to be playing with a DREIDEL as a cover. The four-sided spinning top, called in Hebrew a “s’vivon” bore the Hebrew letters Nun, Gimel, Hay, and Pay, meaning “Nes Gadol Hayah Po,” a great miracle happened here. Outside Israel, in the diaspora, the dreidel bore the letters Nun, Gimel Hay, and Shin: “Nes Gadol Hayah Shom”, a great miracle happened there. When our own strength failed us.. In closing, allow me to impart some final thoughts. Remember that traditions are not evil of themselves. They can enrich our lives, so long as our traditions do not conflict with what the TORAH teaches. And if you decide to celebrate Hanukkah, don’t do what many secular Jews started doing about forty years ago, and turn it into a Jewish form of Christmas. The so called Hanukkah bush (an artificial white Christmas tree decorated in blue) is just as Pagan as a green Christmas tree decked with silver and gold. Hanukkah commemorates rededication of YHVH’s temple. For now we are His only Temple. And as such, we are blessed to house in our very bodies His Ruach Kodesh (Holy Spirit). So as we prepare to celebrate the Rededication of the second Temple, if you are still worshiping YHVH the way Pagans worshiped their sun-gods, STOP! 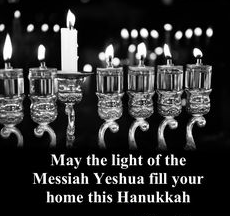 May the flame of Yeshua blaze in you this Hanukkah! (23) This is an extract of the Megillath Ta’anith, lit., ‘the scroll of fasting’. (24) Hence untouched and undefiled. (25) ‘Praise’, Ps. CXIII-CXVIII, recited on all Festivals; v. Weiss, Dor, I, p. 108, n. 1. (26) This lighting took place in 165 B.C.E. Exactly three years before, on the same day, Antiochus Epiphanes had a pagan altar erected in the Temple, upon which sacrifices were offered (I Macc. I, 41-64). Apart from the Talmudic reason stated here, Judas Maccabeus chose 25th of Kislew as the anniversary of the Temple’s defilement, and the dedication of the new altar was celebrated with lights for eight days, similarly to the Feast of Tabernacles, which lasted eight days and was celebrated by illuminations (I Macc. IV, 36;II Macc. X, 6; supra a, p. 90, n. 3). Actually the revolt was against the Syrians, of whom Antiochus Epiphanes was king, but the term ‘Greeks’ is used loosely, because the Seleucid Empire was part of the older Empire founded by Alexander the Great of Macedon, and because it was a reaction against the attempted Hellenization of Judea. The historic data are contained in the First Book of the Maccabees. Thank you for sharing this Jewish history. I am preparing a Bible study on John 10:22-26. Your powerful story moved me, inspired me and strengthened my faith. God bless you. I enjoy studying about this. It is very interesting. It is good to know, I’ve often wondered about it. It is a very good thing. Thank you for sharing.